After my wonderful afternoon with Caroline and Guilaume, I was ready to attack the tour with gusto today. Unfortunately Gusto blew me out so I carried on alone. 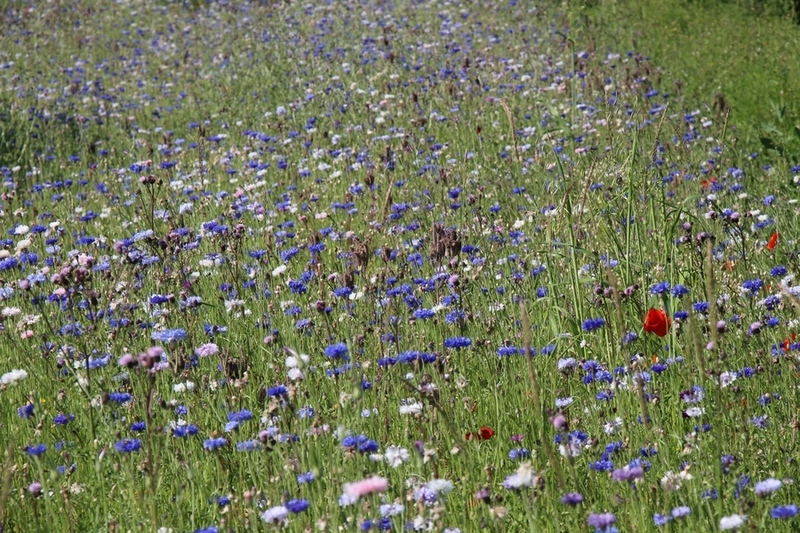 After a bit of a nightmare finding my way out of Jarnac I found myself rolling along in wonderful cognac countryside with acres of vines pretty villages and just to top it off for me, a field of wild cornflowers growing next to some cherry trees laden with fruit (cherries). I took some pics, the sun was shining and everything in the Adventure Tourist’s Garden was lovely. Having looked at my map, I knew that it is about 70km from Jarnac to my destination Aubeterre, but aside from the occasional little gradient arrow on the map, there was no indication of what was to come. What came was hill after never-ending hill. Now, generally speaking, I don’t mind climbing hills too much, even loaded up as the bike is now, providing they’re not too steep. Although today’s hills had their moments they were not cliffs, however… Long!! Don’t talk to me about long! And just to pay me back for all my moaning last week, the sun had finally got its hat on. I had a brief conversation with a man to confirm which road to take and he assured me that the road I was on was the right one, very pretty and shaded by trees. Well I must have found the village idiot because although he was right on two counts, there were so few trees that at one point, in desperation, I sheltered in the shadow of a telegraph pole. To help with visualisation, think hippopotamus and lolly stick. By one o’clock I was cooked, so before my engine conked out completely, when a little shady area did finally appear, I stopped for lunch and a doze. There are two sorts of hours. The hour you take for lunch and a doze lasts 5 minutes and the hour you spend climbing Mt Killimanjaro on a bike loaded with 35kg of gear, lasts much, much, much longer. At one point I was running low on water so I stopped in a bar and asked the lady for a refill. Very kindly, she gave me 4 litres which solved my hydration problem and added 4kgs of weight. Just what I needed for the next assault of Everest. 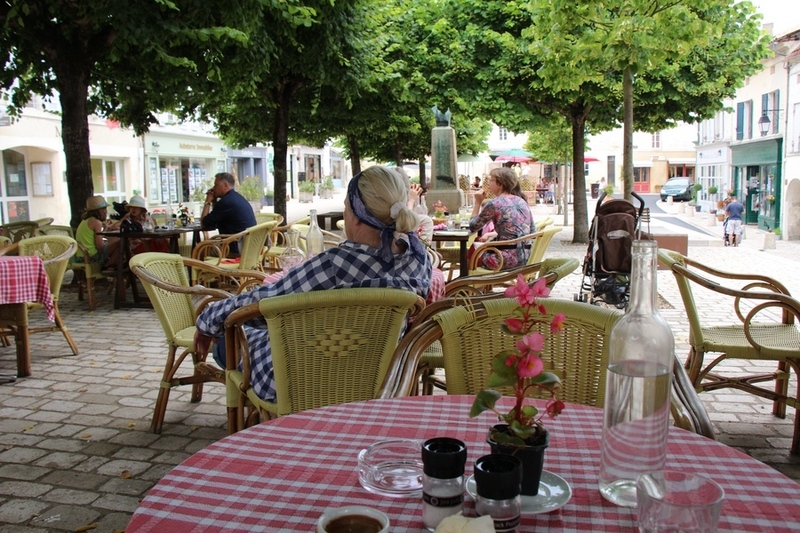 At about 7pm, 9 hours after setting off, I finally arrived at Aubeterre, threw the tent up, showered, had a quick meal in a café, and collapsed in a heap. Today’s lesson is that cycling has to be done in the morning, because after 1 or 2 o’clock my thermostat cannot cope. After an extremely long day yesterday I had a fantastic rest day today. I woke up to a quiet campsite with blue sky and dappled sunlight and eased myself into the day with a very leisurely coffee. Aubeterre is named as one of the most beautiful villages in France and its name is a corruption of Alba Terra which means ‘White Earth’. Many very old and pretty stone buildings with a château and famous church which are nice to see but not really my thing. 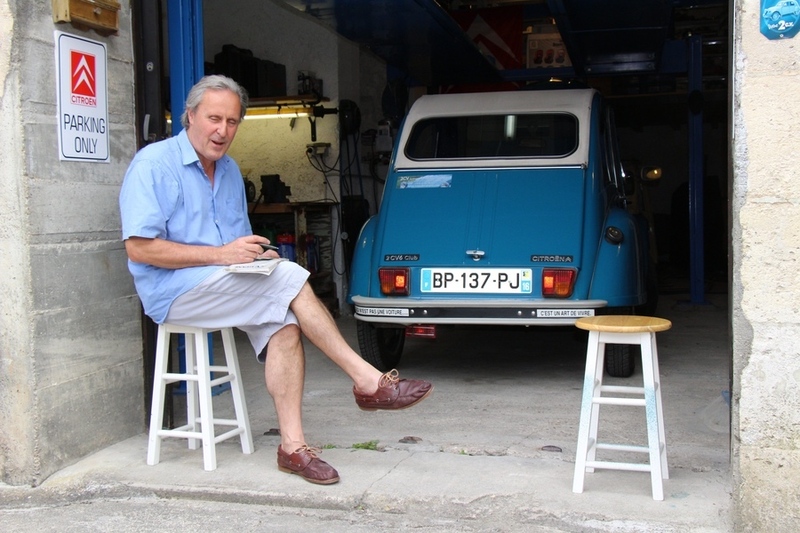 More to my taste was during a lovely walk around town looking in the nooks and crannies I came across a little garage with a man, who it turns out, restores old 2CV’s, which, once restored, he makes available for hire. After a brief to and fro’ with introductions, it transpired his name was Peter from Holland, so now talking in English he invited me in for coffee and of course it would have been rude to refuse. I am now an expert in all things 2CV. After I left Dutch Pete, I carried on with my stroll and took some lovely pics of the town and worked up an appetite for lunch. Against my better judgement I found a brasserie in the cobbled square where I forced myself to struggle through a smoked salmon salad with a small glass of rosé for lunch. Sitting in the dappled sunlight under the lime trees (les tilleuls) with the sweet smell of their blossom wafting around was just heaven. So the centime has finally dropped on how much I enjoy nattering to new people and that in order to do so I need to do fewer miles in a day, start earlier, and give myself time to look around and be nosy. After lunch I spent an easy afternoon doing not a lot, sitting in the sun, planning where to go tomorrow. 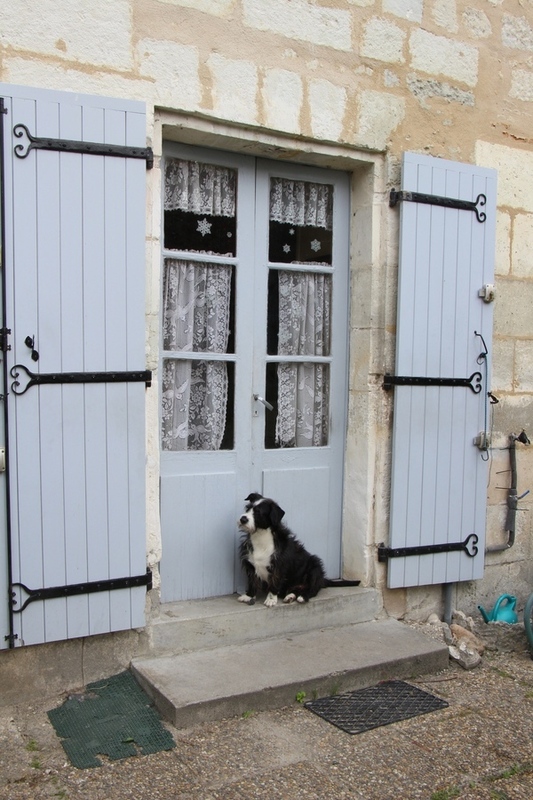 I found a campsite at St. Emilion but they want €38 (£35!) a night so that’s one campsite I definitely won’t be seeing. A French couple next door had a look in their camping book and came up with some suggestions as to where to head towards, but as I write the rain is falling so we’ll see tomorrow whether I go anywhere. Glad to see that you are being your usual friendly self! !